What Are The Average Removal Cost for Moving House? Average Cost for Moving House for a 1 to 2 bedroom flat or house in London are approximately £450 – £600, With Packing Services and Packing Material estimated at an extra £250 – £350. 3 – 4 bedroom home! The average 3 – 5 bedroom house removal costs are around £900/£1.300,00, while professional packing material will cost you another £350. Have you been wondering how removal companies figure out or calculate average removal costs? There are a lot of factors that determine the cost of your relocation, so movers use a system to estimate your moving costs. The cost of your house removal greatly depends on the weight of your belongings and the distance that you need to move them. It has often been said that moving is among the most stressful experiences one can pass by, after the death of a loved one or a divorce. In fact, the American Academy of Child and Adolescent Psychiatry notes that house removal and also trying to move into a new environment is “…one of the most stress-producing events an individual face”. So, how can one determine the Average removal cost? Well, all customers are not the same, and most of them do have a different type of needs when moving. For instance, your criteria for a 35-mile move can never be the same with someone who wants to relocate to country or community or to include awkward items. Nevertheless, the range of guess among individual asking varied considerably, for instance, for those guessing the price to move contents of a 3/4 bedroom house, it ranges from £400 up to £2000 Average Cost for Moving House and with the most common answer given being £1008 and the highest guess being £5000. Though it may not seem like a huge sum of money in the scheme of things, these charges have seen an incredible rise over the last three years. House removal can be stressful, time-consuming and expensive but there are ways you can cut the cost and the time it takes, it just takes a little research and awareness of what you are getting in the first place. Need A Great House Moving Company? Save Up To 25% Off Standard Rates! Friendly Customer Service · Unbeatable Quotes · Experienced Professionals · Great Savings. Give us a call Today 0800 294 0566 – 02032399462 -07908247249 and get your free Quotation in 5 minutes. House removal locally cost less as compared to moving to the other state. Even, often one hour extra should accuse of you on the part of the relocating company, and this is travel time- the occasion the relocating specialist wants to arrive at to your dwelling place. The standard relocating price for one-bed room/flat will be £150 to 300 dependent upon the relocating date. 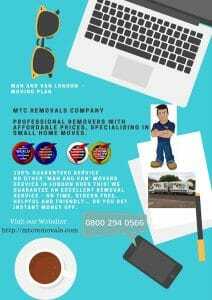 It is the standard cost of hiring a removal company for appointing a couple of men as well as a truck. Normally in summer, it is more costly to move as well as right at the end of the month. Hence investigating how much the hourly cost for movers is among the matters to attend to before relocating. Truth be told, it is only you that can estimate your average charge of house removal which can either be base on your needs, family size or household items. So, therefore, for your good, try to use the above points to do more research on average removal cost before you relocate. 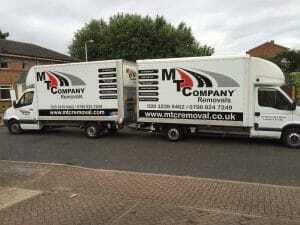 MTC Removals is a respected moving company in London and UK with an exemplary record of customer service. 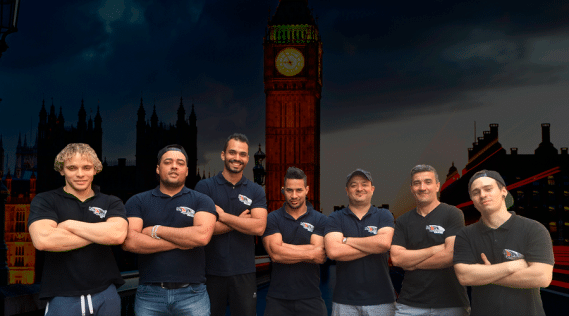 Our Moving company provides you with a reliable removal service throughout London and UK, and we can give you free removals’ quote for all your requirements. Please visit us at Moving companies for more on house removal in UK and London.